President George Manneh Weah has sent a congratulatory message to the Government and people of the Republic of Finland on the occasion commemorating the Independence Anniversary of that country on December 6, 2018. Finland’s Independence Day is celebrated annually on December 6 and marks the Declaration of Independence from the Russian Empire by the Finnish Parliament in 1917. Finland had been part of the Russian Empire since 1809. Following the Russian revolution and the defeats in the First World War, movements within Finland pushed for independence from Russia and on December 6, 1917, the parliament declared Finland as an independent state. In the message to His ExcellencySauli Niinistö,President of the Republic of Finland, President George Manneh Weah, on behalf of Liberia, extended warmest felicitations and sincere best wishes to the Government and people of Finland as the people of Finland commemorate this historic event. 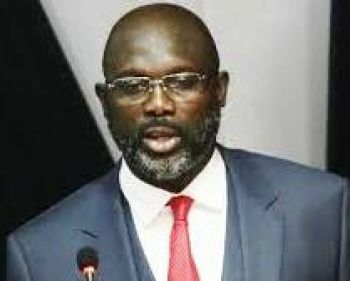 According to a Foreign Ministry release, President Weah further recalled Finland’s partnership with Liberia through the Finnish Refugee Council and bilaterally in areas of functional literacy, vocational and entrepreneurship training as well as education in marginalized communities which, the President noted, have been crucial to the recovery and rehabilitation of many Liberians affected by the scourge of the country’s civil conflict. President Weah then looks forward to working closely with the Government of Finland aimed at heightening the already existing cordial relationship between the two countries and peoples. The Liberian leader also wished for President Niinistö personal good-health and happiness and for the Government and people of Finland continued peace and renewed prosperity.